“Très Mort –Tremor-” is a multimedia project conceived by Butoh Artist Vangeline and photographer Celeste Sloman. 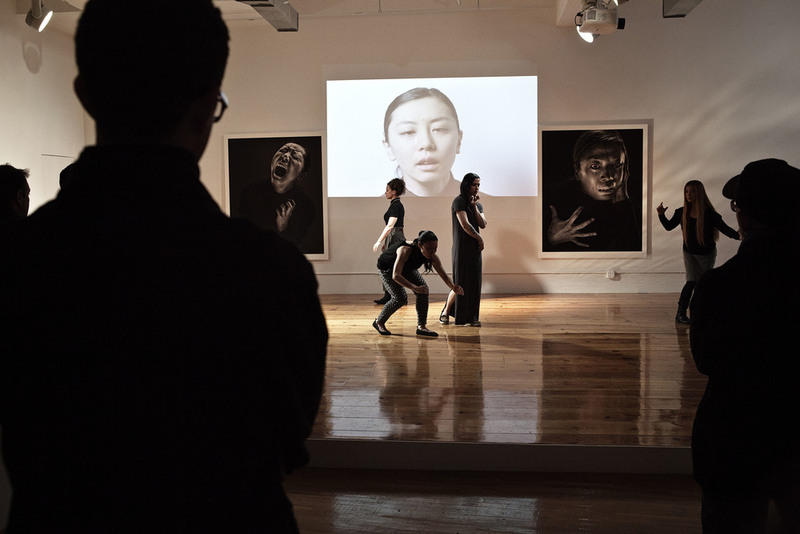 Part photography exhibition, video installation, and live Butoh performance,"Très Mort" explores the world of facial tremors induced by Butoh. Our face is a mask underneath which lies a world of contradiction and mystery made manifest by involuntary muscle contractions. This immersive installation features photographs of Vangeline Theater Butoh dancers, as well as a one-hour video portrait of the dancers going in and out of 'Butoh State'.